Instagram is by far the most relevant social media platform for luxury goods brands to be active on. Posts on Instagram produce significantly higher consumer engagement measured as the combination of “likes” and “comments” – than posts on either Facebook or Twitter. 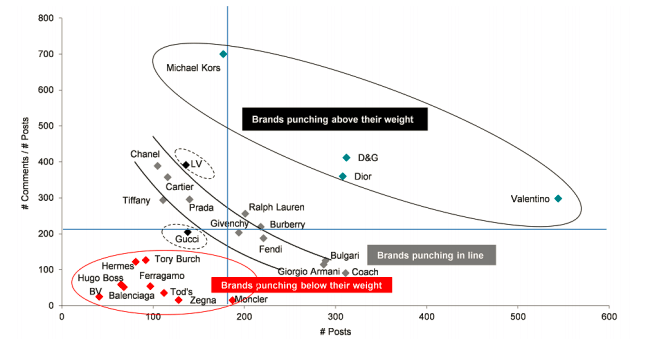 We observe which brands appear to “punch above their weight”, generating a far higher number of comments per post at equal number of posts.